In the year 1967 in the city of Bilbao, eight Basque students decided to form a musical group to be known as Voces y Guitarras ("Voices and Guitars"), citing folk and spiritual music and The Beatles as influences. This group of siblings Amaya Uranga, Estibaliz Uranga, Izaskun Uranga, Roberta Uranga, brothers Rafael Blanco and Sergio Blanco, Jos? Ipi?a and Francisco Panera spent a year performing around their hometown before sending a demo cassette to producer Juan Carlos Calder?n in Madrid. He took and immediate interest in the group and renamed them Mocedades ("Things of Youth"). 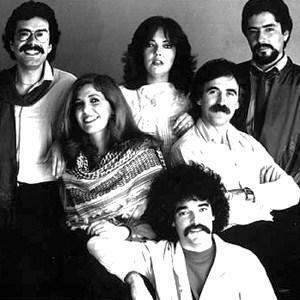 Their most known song is "Eres Tu", which became second at the Eurovision Song Contest in 1973 (Luxembourg). Final Position: 2 - Total Points: 125. Eres Tu was accused of plagiarism. It was suggested by critics that the song was merely a copy of the Yugoslav entry of 1966, Brez Besed performed by Berta Ambroz. The Spanish entry was not sanctioned though and became a huge hit internationally - it even outsold the winner Tu Te Reconnaitras by Anne-Marie David.